At the end of an inspiring few days that I spent at Camp Ramah in Wisconsin last week, Tikvah director Ralph Schwartz invited me to see some of the work placement sites in nearby Eagle River where Tikvah graduates, now part of the Atzmayim program, are working as interns. When I met Dan, the owner, I thanked him for his partnership with Ramah’s Voc Ed program, and he responded that it was not only his pleasure, but stated that this program “has made us into a better business, and really given a lift to our employees.” How wonderful to hear! As I exited, I saw camp president Arnie Harris drinking coffee and working on his laptop; at the next table, rosh edah Josh Warshawsky was online completing his application to become a Ramah Service Corps Fellow. We then visited nearby Trig’s, the local supermarket. Three Voc Ed participants were bagging groceries. Among other projects, they will sometimes hand out shopping carts and greet shoppers. 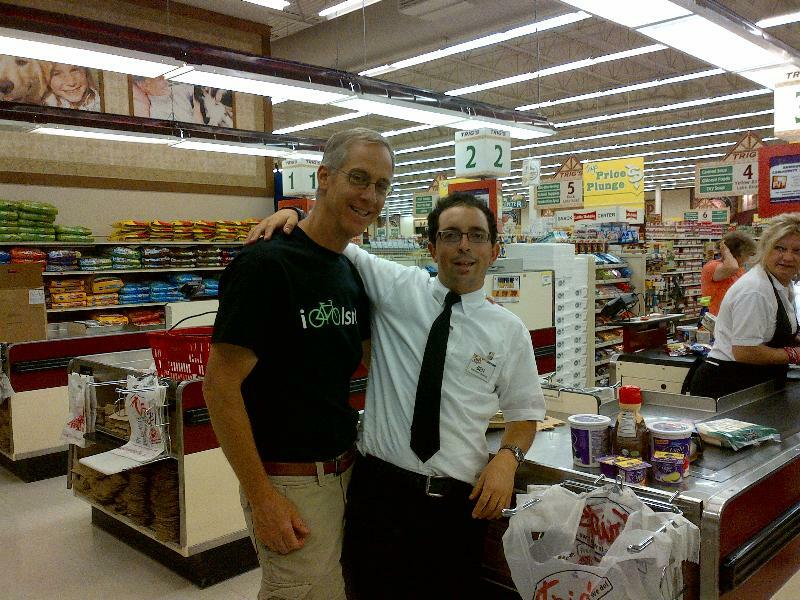 Another of my football buddies, Ben, looked at me with surprise, and asked, “What are you doing here?” I told him I wanted to see how the work was going, and he immediately went back to bagging groceries for customers who seemed impressed and appreciative. Again, the store manager commented that our Voc Ed placements “make us a better business.” In both stores, they emphasized that many people are inspired seeing young adults with disabilities in the work force. Not only do our participants really help with the work load, but their pleasant manner, the helpful supervision of Tikvah counselors, and the opportunities for other employees to get to know them, all combine to make these partnerships very successful. 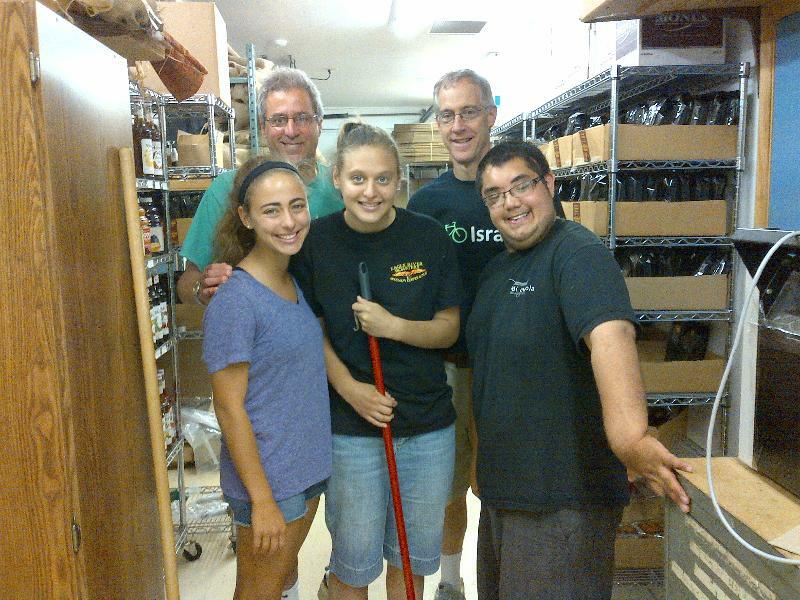 Some Voc Ed grads credit their summers at Ramah with giving them the skills to have meaningful employment at home year-round as well. While Ramah’s four established Tikvah programs have tried this before, a grant from the Ruderman Family Foundation this year has enabled us to greatly expand these Voc Ed programs. Our hope is that in the near future, as our Reshet Ramah database is developed, we may be able to match Tikvah grads with Ramah alumni in their home communities who could employ them in various businesses. I never thought that my visit to Ramah Wisconsin would end with one of the most meaningful experiences — a visit to the local supermarket!